We’ve all lived through this moment before. It’s eerie when you think about it. 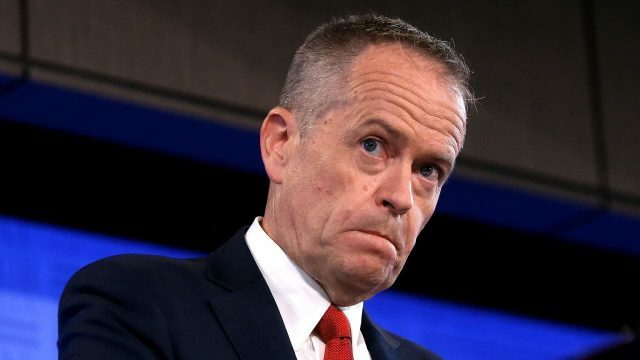 Sub-editors around the nation will be high fiving themselves over the Sunday papers with phrases like “Shorten sweet”, or “Here’s the Bill”, or something equally hilarious when he becomes PM. It’s basically 2013 again, except The Daily Telegraph won’t be putting out a full-page picture of the now-Opposition leader with the banner headline, “Australia Needs Bill”. Because apart from the fact that they won’t, we don’t. And objective journalism. That, too. In the next six months, there is a chance for the ALP to get themselves something of a toehold in reformist policy and governance. They don’t need to become Mao suit-wearing agitprop socialist troublemakers bringing about permanent revolution (although that would be totes rad to witness; hold the phone while I get my Billy Bragg records out), but maybe taking a few Gough pills might be worth considering. Maybe taking a leaf from the Julia Gillard book of governance-as-minority and achieving a wealth of reforming legislative merit (of course, selling it well would have helped, but Ms Gillard was never really good at the “politics” part of her job). But no. That won’t happen. Bill won’t take the bull by the horns, because at the end of the day, look at him. He’s not exactly the Hemingway of #AusPol. Just more of the same. Nothing to rattle the normals, nothing to give the LNP some ammo when it comes to national security, the shonkiness of the pigmented migrant, or the value of enterprise, capitalism, having Australia Day on 26 January…and the list will go on. We should be asking more of Shorten and his cadre. We should be holding them to a higher standard. They should be offering more than “We’re not those doofuses, despite the fact that our platform is really just a polished cover version of theirs”. We’ve crossed the Rubicon here. No longer is there a viable opposition in terms of policy or politics. It’s just the same schtick replayed over and over again. Remember in 2007 when John Howard tried to wedge the Rudd opposition on Sudanese migrants, and Rudd didn’t bite? (If you don’t, that’s fine – trust me, it happened; I remember it, because I bear grudges). Or in 2001 when John Howard thought capitalising on 9/11 was good sport, and Beazley flipped over the issue of the Tampa? That happened, too. It seemed at the time that perhaps the ALP had lost part of its moral compass. And then the Greens started gaining more political traction – it was as if someone was holding the Labor party accountable for what should be their own core values. Long story short, in 2007 Kevin Rudd became Prime Minister and everybody lived happily ever after. It’s not asking much, just have a set of principles which are different to what’s on offer now. The current government are terrible at close to everything. They cannot agree on the smallest thing and their legislative achievements add up to much less than they should have with a majority as large as they (once) had, and the weight of the Murdoch press behind them. With their approval ratings in the flaming dumpster previously alluded to, surely the ALP have the chance to be a viable opposition, to actually put up policy that was the, well, opposite of what was on offer to the government. Hence the term. But here we are. Shorten announces his latest form of middle-class welfare. At the launch of something, (I’m guessing policy, or the ALP’s answer to a 2019 sizzle reel), he’s announced his own version of negative gearing (he says, “for battlers”, but you know…it’s for the same people who overcapitalise on the notion that the “housing” brand of bubble is the only kind of bubble that doesn’t burst). Added to this is the fact that he seems to have promised to consider maybe raising the Newstart allowance, and said that he’ll strengthen our borders to stop asylum seekers. Not that seeking asylum is anything that is actually against the law and needs to be stopped. But what Shorten’s done is seen that there’s gold in them thar paranoid racist hills. And say what you will about racists, but they vote…just like the rest of us. Why not get some of that? It’s part of why Julia Gillard set up camp for a ludicrous amount of time in Western Sydney in the lead up to the 2010 election – you go where the votes are at. At the end of the day, what Shorten’s doing is pitching to the voters a more palatable version of Scott Morrison. The LNP is on the nose nationwide; we here in Victoria recently had an election which rendered every single Labor seat a safe Labor seat, and every single safe Liberal seat either lost to Labor or is now marginal. Nothing like sending a direct message to the powers that be. I don’t think we should hold a leftist prospective government to impossible standards, but I also don’t think we should be complacent and accept them at a lower standard either. We should be asking more of Shorten and his cadre. We should be holding them to a higher standard. They should be offering more than “We’re not those doofuses, despite the fact that our platform is really just a polished cover version of theirs”. It seems unlikely that they’ll lose, but six months is a hell of a long time in politics. So, rather than actually be reformist progressives, the ALP will take the safe ground by embracing Adani, demonising refugees, doing nothing substantial about housing affordability, and basically being Liberals in a different colour t-shirt when it comes to having a democracy sausage. Risk is worth taking when it comes to being in power. But all Bill Shorten needs to do between now and polling day is not sit on his balls. And if the ALP leadership over the years is anything to go by, there’s no guarantee he won’t do that. Merry Christmas, by the way. I’ll be at the bar.